Dr. Kathryn Alvaro-Estevez is a Board Certified Optometric Physician who is licensed in the Treatment and Management of ocular disease. Dr. Alvaro moved from Brooklyn, New York to South Florida with her family at an early age. A graduate of Saint Thomas Aquinas High School in Fort Lauderdale, Dr. Alvaro earned a full academic scholarship to complete her Bachelor’s degree in Pre-Medicine at Barry University in Miami Shores in 2000. 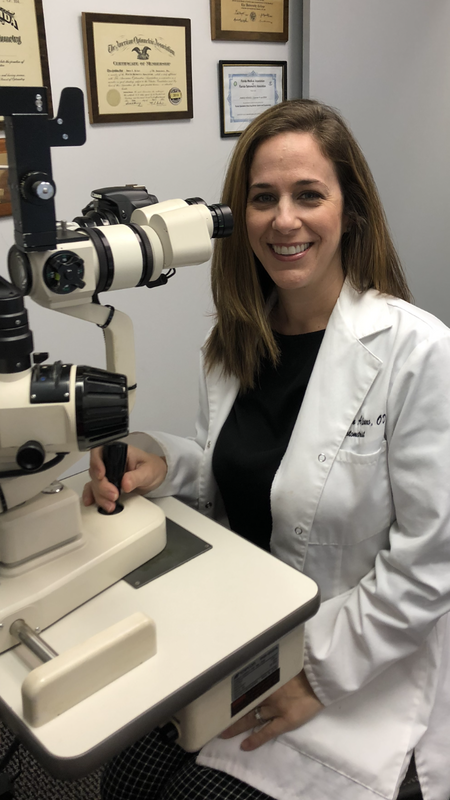 Her interest in medicine turned into a passion for Optometry while working as an Optometric technician during her college years. She earned her Doctorate of Optometry at Nova Southeastern University, College of Optometry in May 2004, graduating with Honors. In addition to comprehensive eye examinations, Dr. Alvaro’s specialties include challenging contact lens fittings, consultations of laser vision correction (LASIK), co-management of cataract surgery, dry eye therapy, ocular allergies and ocular inflammation, and pediatric eye care. Dr. Alvaro is knowledgeable, compassionate and provides a thorough eye examination. At Krisel Eye Care Center, the friendly staff is committed to providing exceptional customer service to our patients and the community. We strive to spend the time necessary with each patient to ensure a comfortable experience.